Summary: In this fabulous ebook short story Trisha Ashley will whisk you away for a romantic treat on the Yorkshire moors. Review: I'm kind of late to the party with Trisha Ashley's work, but with what I've read so far I haven't been disappointed. Since purchasing my Kobo last July I have read a lot more short stories. A lot of which I would never have had the chance to do so as they are only e-books. It upsets and kind of annoys me when I read reviews that say it wasn't long enough. It's a short story, it's supposed to be devoured quickly. Having nearly stopped breathing whilst reading my last read I needed to read something lighter so I knew this short would be the perfect medicine and I was right yay!! My only criticism of this read is that I now want more from these characters. Eleri, Henry and Martha are all easily loveable characters. Henry has that brooding (Mr Rochester) air about him, but he's a softie deep down especially where writer Eleri is concerned. 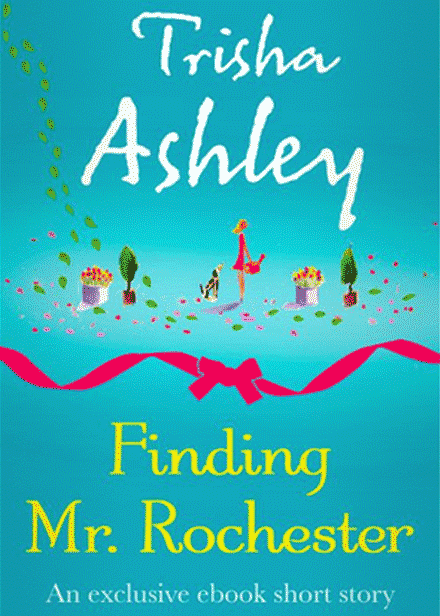 If you love Trisha Ashley and the Bronte sisters then you will not be disappointed by Finding Mr Rochester. At the end of this loveable short story you get two chapters of Trisha's up and coming novel Every Woman For Herself. What I read of Charlie's story I really enjoyed and I even pre-ordered a copy so it'll be winging it's way to my Kobo library on release day which is 8th May 2014.